Seiser Alm, also called Alpi di Siusi, is the largest alpine meadow in Europe. The slopes and hiking trails offer breathtaking views of famous peaks of the Dolomites, such as Sassolungo (3181 meters) and Schlern (2563 meters). Between these mountains is Seiser Alm with 60 km of slopes and one of the best fun parks of South Tyrol. 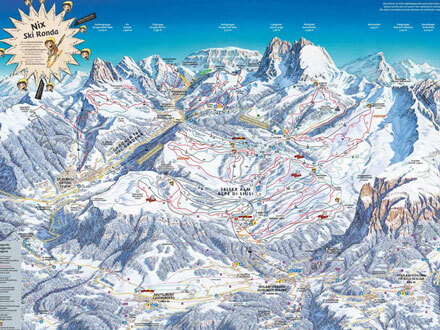 Together with Val Gardena, this winter sports region counts over 175 km of slopes and 80 km of cross-country trails. As for accommodation possibilities, Saltria and Compatsch are good options. 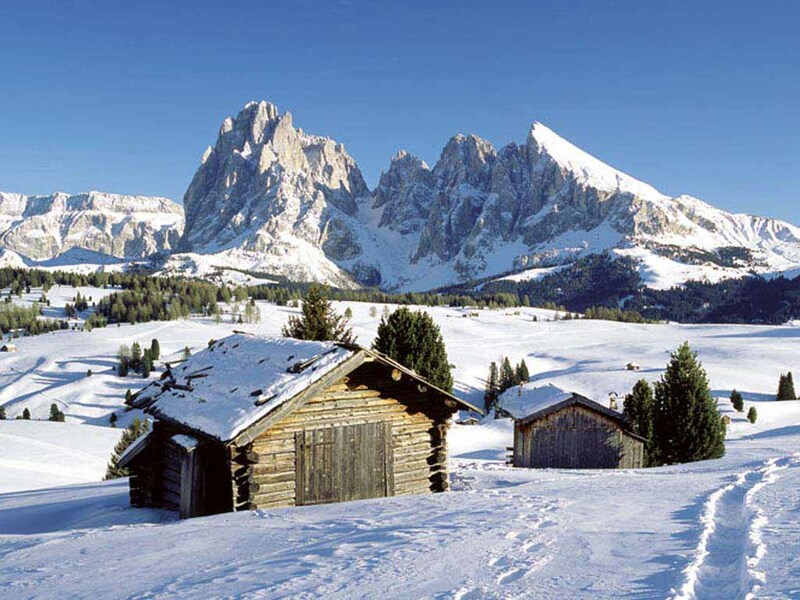 Seiser Alm is accessible by a cable car from St. Ulrich in Val Gardena or Seis am Schlern on the other side of the meadow. 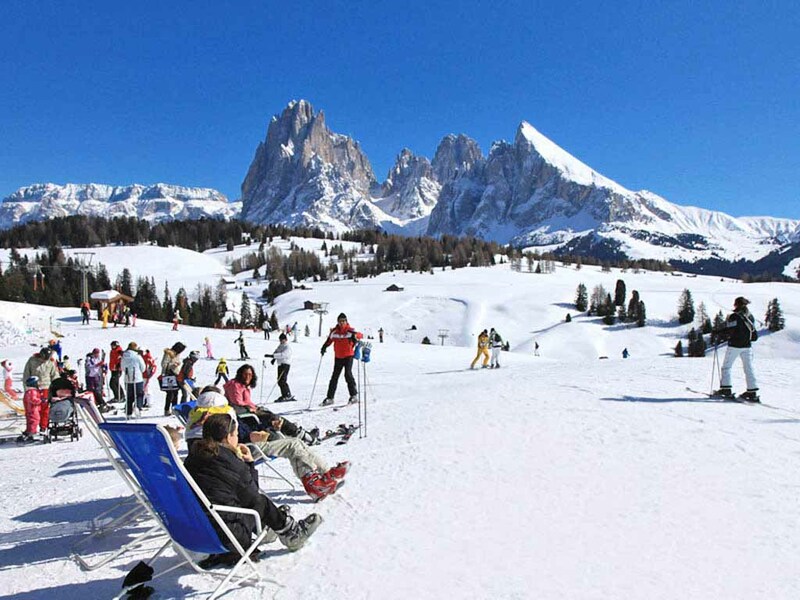 The ski slopes of Alpe di Siusi are known to be mild which makes them very popular among families and beginners. However, experienced skiers can enjoy the slalom course and the track named Knopf Gold (2210 meters) in Saltria. 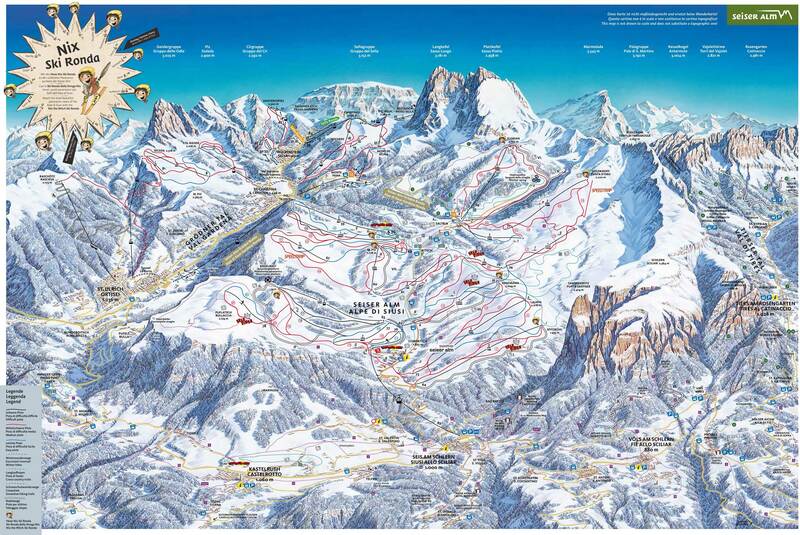 The ski area Seiser Alm also has a track giving you the opportunity to measure your own speed. 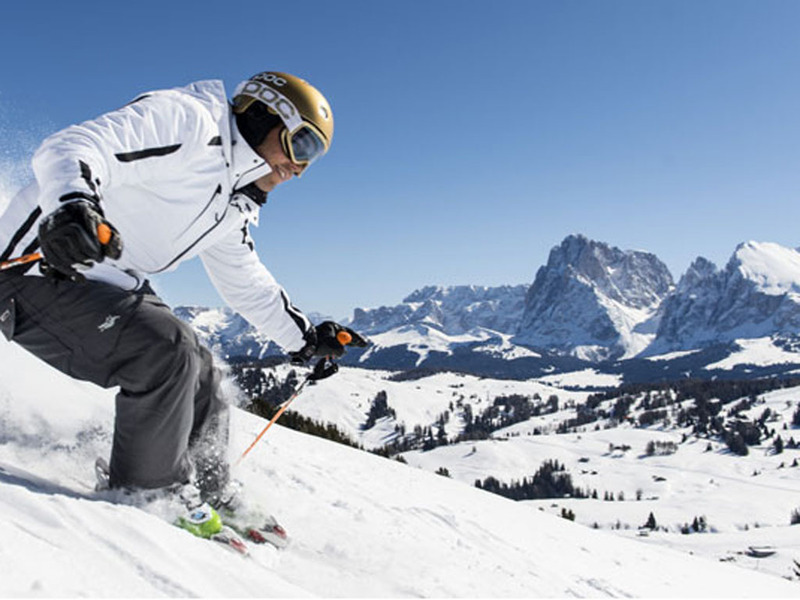 In addition, Seiser Alm offers many après-ski activities such as paragliding and ice skating.